Phil Robertson was full of dread. Cupping through the table, he had tried some extremely ashy coffees, some others unimpressive and flat, and then some nuanced, balanced and delicious ones. He was certain these weren’t theirs –he knew them well– but couldn’t identify the two varieties he and his partner, Sebastian Sztabzyb, had given Tim Wendelboe, just a moment ago, for that blind cupping at his small café and roastery in Oslo. Coffees were finally revealed. As he could imagine, the most vibrant were Tim’s, while the dull ones belonged to them. Phil just couldn’t understand what had gone wrong. He had put tremendous effort in those coffees – selecting the best green out of the Costa Rican and Colombian beans he and Sebastian had picked up during their first source trip; spending months building profiles; tracking them thoroughly using the custom roast-logging software he himself had written; carefull roasting them; cupping them several times… He had even packed coffees in a second bag to protect them from the low pressure of the plane cabin. 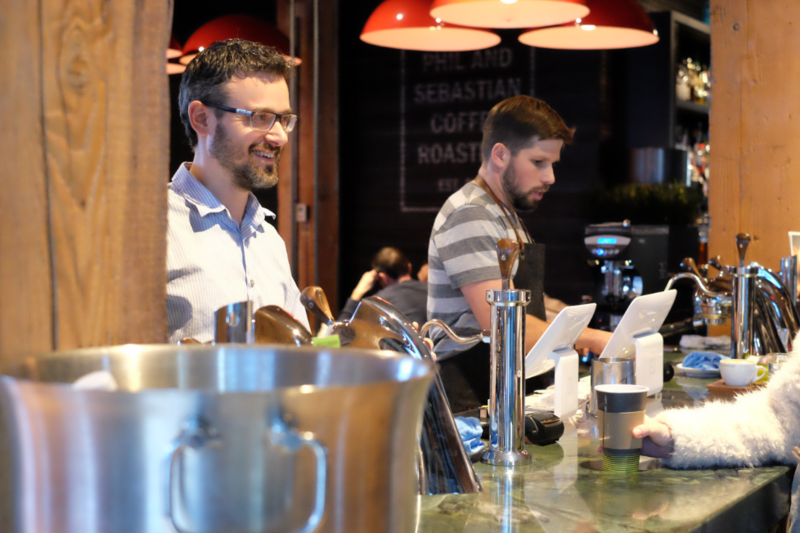 All to impress Tim, whose light yet fully developed coffees he and Sebastian admired ever since their first visit to Norway, in 2009, when, two years after opening their café in Calgary, Canada, they were defining their own style for their coming roasting business. Fascinated with Tim’s, they committed to following his example, light-roasting all their coffees so as to highlight their natural sweetness, acidity and unique flavours, while avoiding carbon or ash taste. It was actually one of the reasons why they had become renowned in North America. However, nothing of that could have been tasted that day at Tim’s café. Tim tried to comfort him. This happens all the time, he said, every coffee taste darker here. But Phil was frustated and ashamed. He didn’t sleep well that night. His mind couldn’t help going through every possible variable in search of plausible explanations… With no result. After some time, he just forgot about it. In Rimini, Italy, during the World Barista Championship, Phil met Maxwell Colonna-Dashwood, U.K. champion and world finalist. They talked about coffee and water. As an engineer, Phil had a great deal of knowledge on the impact of water in the machinery. Talking to the barista he found out how little he knew about its influence in taste. 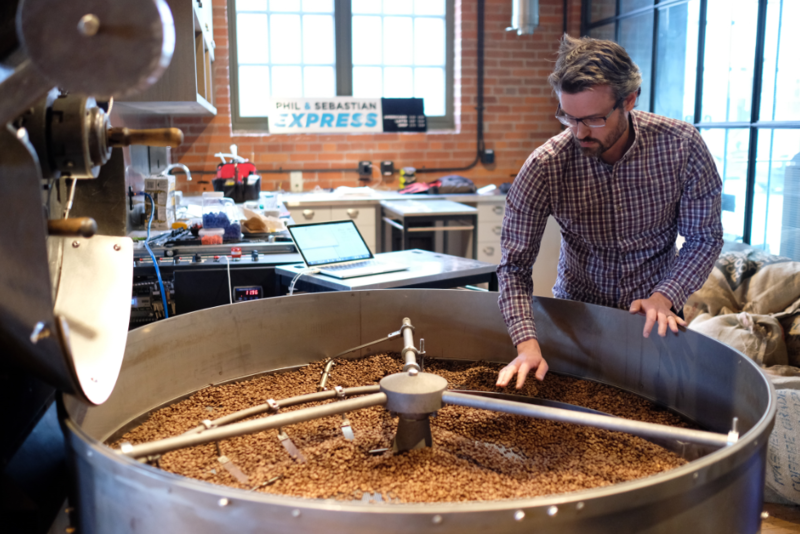 Along with the chemist Christopher Hendon, Maxwell was actually studying the way it affects the roasting and brewing process, transforming the character of coffee. Inevitably, the conversation brought back that experience in Oslo. Just a couple of months earlier, Tim had invited Phil and Sebastian Coffee Roasters for a blind cupping that he would use to select sponsors for the MAD Symposium. What’s the point?, Phil had dismissed the idea right away, our coffee’s gonna taste ashy anyway… But what if it is simply because of the water?, he thought then. What if the key difference between how their coffee tasted in Calgary and in Oslo is simply because of the two waters? Back in Canada, Phil resumed his research. After exchanging some emails with Hendon, avid for scientific answers, he proceeded to observe Calgary’s and Oslo’s waters. Although calcium and magnesium amounts were similar in both, bicarbonate content was much higher in Oslo’s. 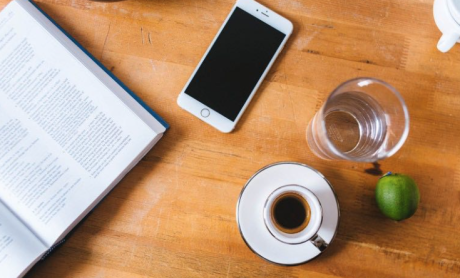 From his chats with Hendon, he knew that bicarbonate acted as a buffer in coffee brewing – neutralising the acids and promoting balance. However, too much bicarbonate could diminish bright, lively and fruity flavours, leading to flat coffees. 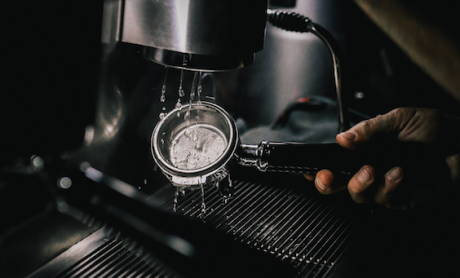 After a bit more math, some baking soda, and testing carbonate hardness, Phil managed to manufacture some Oslo-like water in their cupping lab in Calgary. And brewed some coffees with it. They tasted dull and unimpressive. That was it! All they needed was to tune their roasts to that new water. 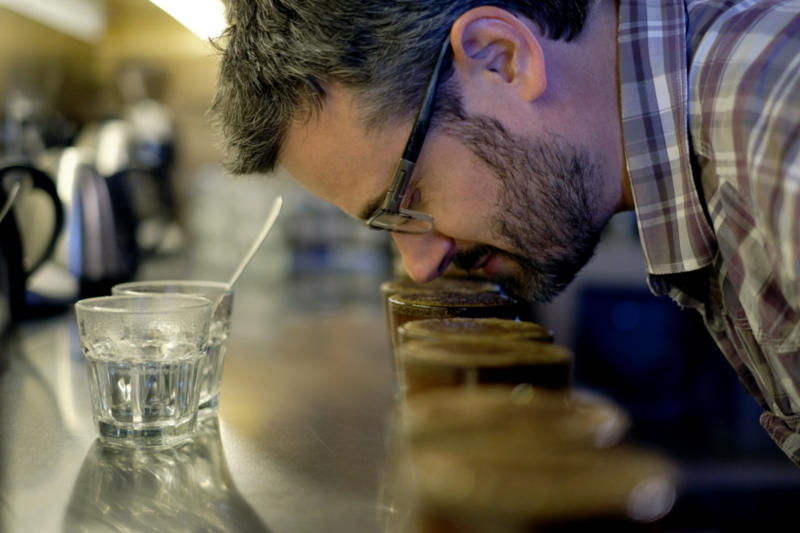 Working through many profiles over weeks, he finally got their coffees to perform with the Oslo water. They sent in two samples, and a few weeks later they got news – one of the varieties had been selected as a silver sponsor for the event. It was probably the first time Tim had truly liked their coffee. 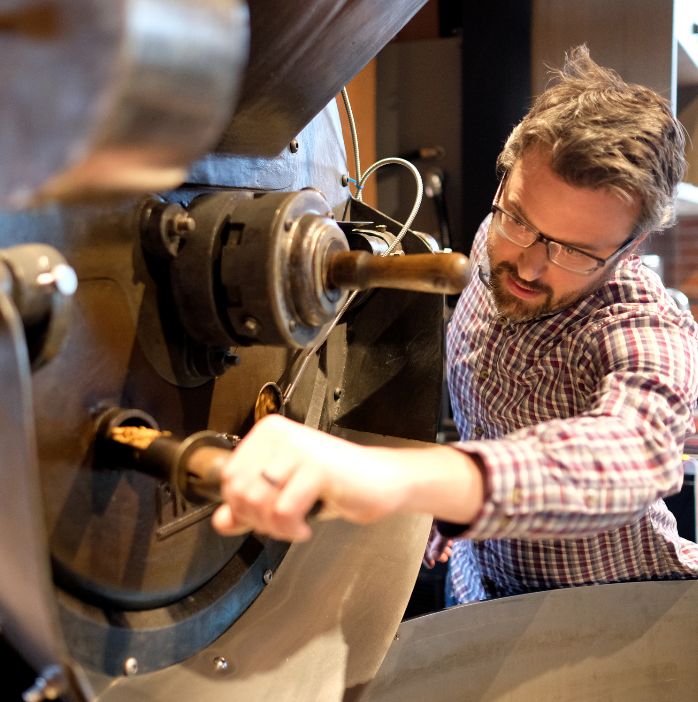 That experience led Phil to understand a fundamental of coffee roasting – all roasters roast to their own water, whether they realise it or not. In fact, according to him, nothing will really change until “reliable, affordable and easy to use equipment” enable professionals to manipulate water in a certain and constant way. Regretfully, “nobody seems to be willing to push these limits right now”.